Inflight mechanical failure of aircraft and aircraft engines are very rare events. When failures do occur, they are not generally a bolt from the blue—there have usually been some warnings, perhaps whispered threats, but nonetheless, potentially detectable signs before catastrophic damage occurs. In fact, good operating practice can usually predict even a sudden-onset mechanical failure, if the pilot is watching and listening closely. 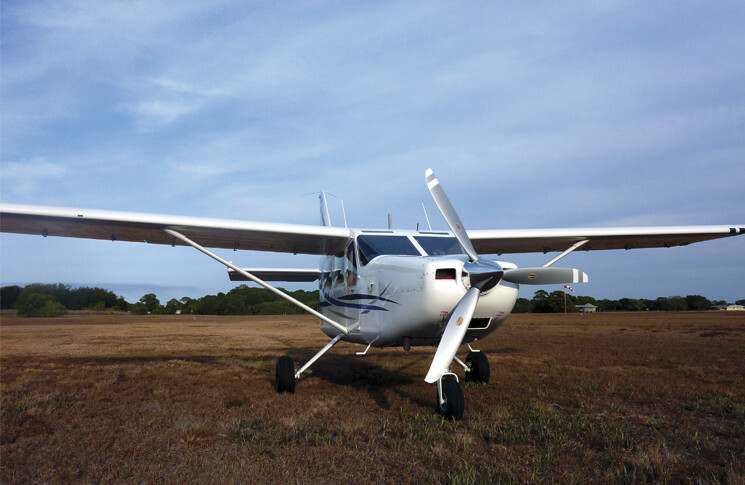 What should you be doing to monitor the mechanical state of your plane? How can you identify and track trends in maintenance state? 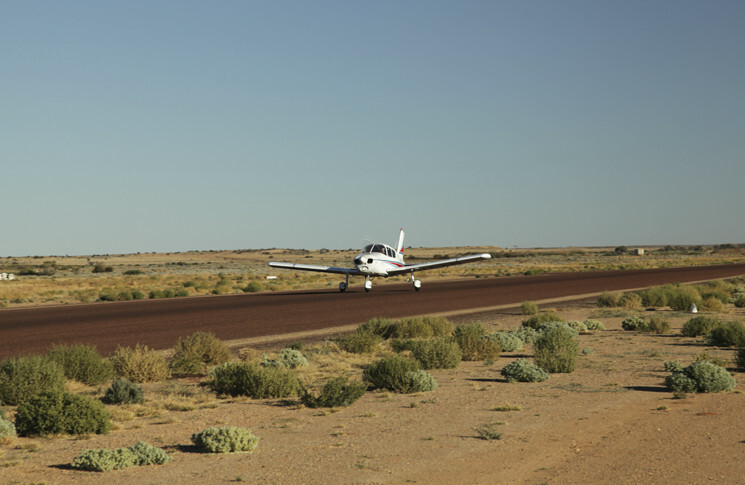 What are some tricks you can perform to have a high degree of confidence in your aeroplane and its power plant, especially when launching on a trip over rugged or remote terrain or a long over-water trip? We generally think of pre-flight inspections and before take-off checks as visual events—perform an action or complete a checklist step and see what happens. If it ‘looks right’, you can then proceed to the next step of the inspection. A common, flippant summation of a pre-flight inspection is that ‘it looks like it will fly’. We often even call the pre-flight a ‘visual inspection before flight’. The visual check is vital, but it’s not the only thing. Pre-flight and before take-off checks are also tactile and audible inspections—a thorough check involves looking, feeling and listening to the plane. When you do your external inspection, visually check that the controls move correctly (including that the yoke or stick moves in the corresponding direction to flight control movement, if visible from where you’re checking). While doing so, feel that the control moves smoothly throughout its full range of motion, and that it is secure without excessive play. At least as importantly, listen to the sound of control movement—is it grinding or scraping? Is there a new squeak or squeal that warns of binding pulleys or impaired control system movement? Use this same method—look, feel, listen—during your entire inspection. Everything you check has an audible and tactile ‘normal’ just as much as it does visual. Take full advantage of the time you spend inspecting the aeroplane and running your in-cockpit checks by inspecting for everything instead of just the visible cues. Like everything else in aircraft, our efforts at detecting problems are threatened by distraction. One of the most common distractions in the modern world is the mobile phone ringing or popping up with texts while pilots are doing their walk-around inspection. Not only does this distract from the visual check—the pilot is looking at the phone and not the aeroplane—it dramatically impairs the tactile check and virtually eliminates any chance of audibly detecting problems. 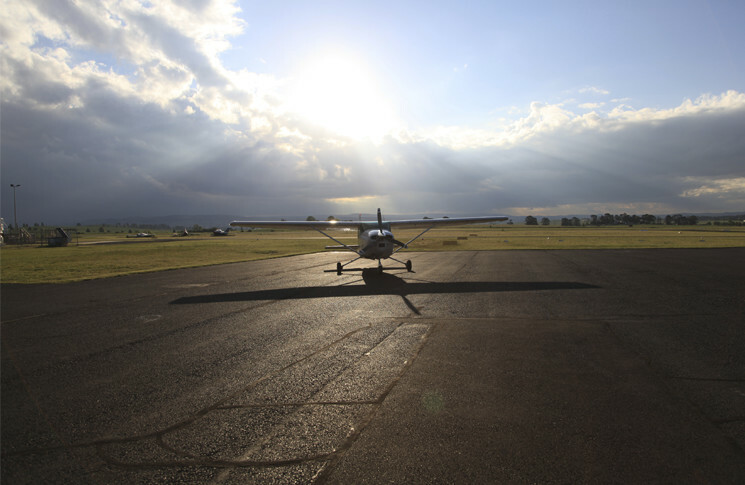 Remember that the pre-flight inspection is not just a ritual, it’s your last, best chance to determine the aircraft is in top condition such that you may bet your life (and that of your passengers) when you take it aloft. So it sounds trite, but turn off your mobile phone before you begin your pre-flight inspection. Focus on checking the aeroplane as thoroughly as possible. As mentioned earlier, the sound of the engine guarantees you will not detect any unusual sounds associated with moving the flight controls through their full range of motion. I like to do a controls: free-and-correct-check as soon as I settle into the pilot’s seat, before I start the engine(s). That way if something doesn’t sound right I will actually be able to know it before I take-off. You still want to do the controls check out at the end of the runway during your before take-off check and maybe even just before you begin your take-off roll—checks at these points will catch any last-minute issues. They’ll also detect any obstruction (rock, etc.) that may have worked its way into the controls during taxi. Another item that deserves thought is to defer, for a while, the niceties of noise-cancelling headsets at the beginning of a flight. A lot of pilots I know leave their headset off until after the engine is running. This lets them listen to the engine as well as watch the engine gauges and instruments, to detect anything that sounds wrong. Another practice is to turn off active noise reduction on your headset for the take-off roll, again to have the best chance of hearing any abnormality. I’m starting to follow this practice as well: start the engine, then put on the headset; leave noise cancellation off until established in cruise climb. Listen to other aeroplane systems as well. For example, if the plane has electrically powered flaps then adjusting the flap position not only changes the feel and performance of the plane, it has a distinct sound as well. You may be able to hear if the flap motor sounds different from normal. You should be able to detect if the flap motor runs too long (you’ve extended the flaps more than you thought, the flap motor is wearing out, or you have an electrical system problem that is providing amperage to the flap motor). Don’t pass up on this opportunity to inspect as you fly. Similarly, if your aeroplane has retractable landing gear, listen to the operation of hydraulic pumps and/or electric gear system motors, as applicable. 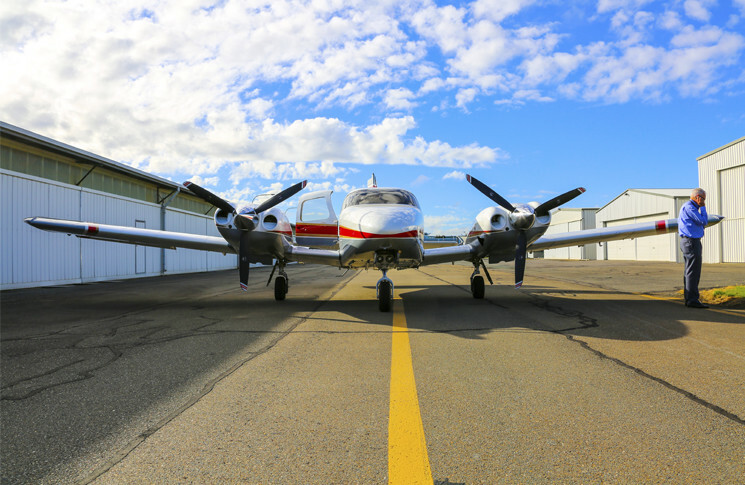 If the motor no longer runs smoothly, or runs shorter or longer than normal, you not only have a potentially worn-out system needing maintenance or overhaul, you might have a condition in which the landing gear will collapse when you touch down. If your plane has an autopilot with electric trim, are you hearing the trim adjusting a lot? If you have an automatically inflatable cabin door seal to eliminate drafts and cut the cabin noise level, has its air pump begun running more often to refill the seal? Any system that makes a noise gives you the opportunity to check the quality and duration of that noise against norms, perhaps detecting a small problem now before it becomes an aeroplane-grounding or even aeroplane-salvaging event. All you have to do is listen. It’s not listening, but monitoring and tracking the trends of engine instrumentation is a form of ‘listening to what your aeroplane is telling you’. Use every bit of information you have available; if you own the plane or have a say in how it’s equipped, consider adding an all-cylinder engine monitor if it does not have this capability already. 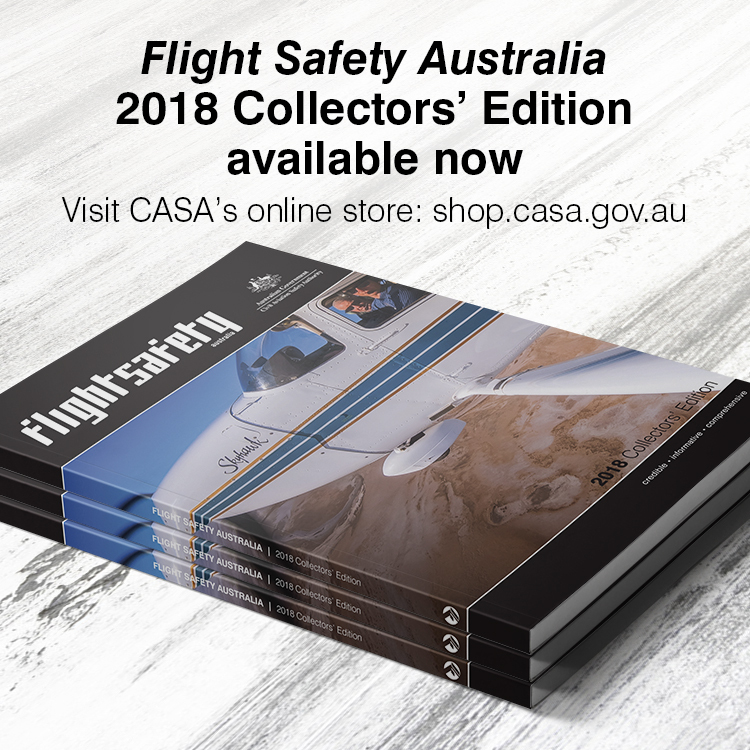 You need to know what’s happening to as much of the engine as possible, especially if you overfly urban areas, water, or rugged and remote terrain—chances are any flight in Australia combines at least two of these surface types! To gain complete confidence in your engine(s), and with some luck to be able to predict if an engine is trending toward need for maintenance or repair, you need to do more than just look at the engine gauges. Knowing that the exhaust gas temperature is 800 degrees C or the oil pressure is 55 psi is only part of knowing what the engine is doing. You need to know that not only is the EGT or the oil pressure ‘in the green’ now, but that it is reading about the same as it was 30 minutes prior, and for that matter, the same as it indicated under similar conditions three hours and three flights and three months ago. For a given power setting and leaning technique, operating temperatures and pressures will be amazingly consistent. When I’ve owned planes or have flown the same plane a lot, I use a grease pencil to draw a line on the face of each analog engine instrument where the needle indicates in normal cruise flight. With the lines drawn, I could be heading toward the coastline out to sea, coming up on a range of mountains, or making a transition from daylight to night, or visual to instrument flight, and tell from the engine gauges that the engine was not only running within normal parameters, but that it was doing exactly the same thing it has done for hours of flying and months of operation. It’s a huge confidence builder to know the engine is truly ‘normal’ in all respects. Lastly, listen to what you’re telling yourself about your plane’s condition. What most aeroplane owners call ‘maintenance’ is really three distinct tasks: inspection, maintenance and repair. 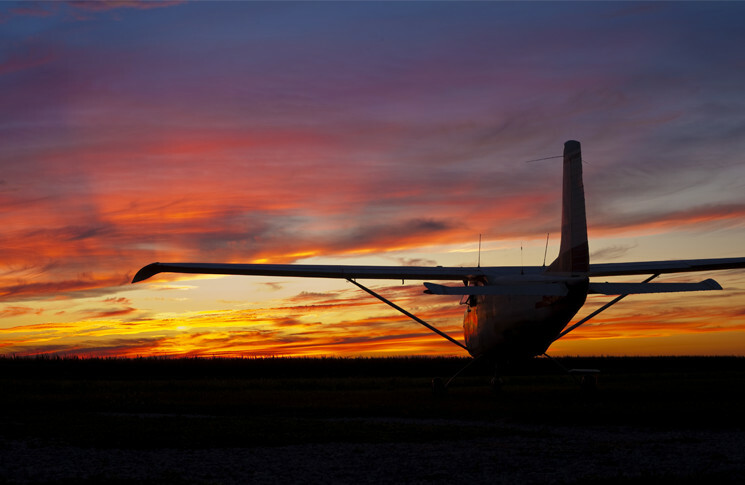 Inspection is the act of confirming the aircraft is airworthy and detecting any discrepancies. Maintenance is the continual process of proactively doing things to keep the aeroplane airworthy. Repair fixes things that break, whether from forces outside your control or when components deteriorate because your efforts at maintenance have not been effective. You must continually inspect the plane. You may be able to defer some maintenance tasks, but you do so at the peril of something breaking at an inopportune time or location, and costing you more when a repair becomes necessary. 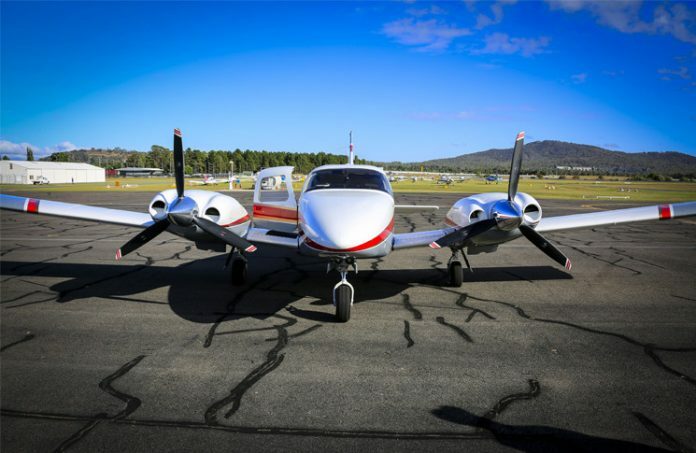 But you cannot defer repairs—by definition a repair means the plane is no longer in an airworthy condition (assuming the broken item is required for flight or for the way you fly the plane). By listening to yourself as a function of airworthiness, you must be on the lookout when you are deferring maintenance because of cost or convenience, and not because it makes good operational sense. For example, if you change the engine oil at 50-hour intervals and hit 50 the day before you fly to where the annual inspection takes place, then it’s operationally sound to defer the oil change for that extra hour of flight. But if instead you defer the oil change because you don’t have time to change it before your next trip, you’re telling yourself that you don’t put proper emphasis on keeping your plane airworthy. The same goes for all scheduled maintenance and unscheduled repairs, including recommended overhauls. Listen to yourself and do the right thing even if it’s inconvenient or adds cost. Inspecting an aeroplane, its systems and its engine is not an annual event or a just-before-flight ritual. It is a continual process of detecting conditions, evaluating trends and acting on what you find. Although we usually think of inspections and indications as visual evaluation, almost everything in the plane has a tactile and auditory component as well—often more telling than sight alone. To keep your plane airworthy, to reduce as much as possible the chance of system or engine failure, usually at the worst possible time or place, and to retain a very high level of confidence especially when carrying trusting passengers and/or over potentially hostile surfaces, listen to what your aeroplane is telling you. Here’s an example of the difference between inspection, maintenance and repair. Say you’re flying a plane with a fuel injected engine, and that engine is fitted with an engine monitor that provides cylinder head temperature (CHT) information on all cylinders. In climb the normal CHT on your #4 cylinder is 180 degrees C. Today, however, using the same engine management technique the #4 CHT is 205 degrees C. That’s still well within the normal range, but it’s higher than ‘normal’ for your engine, and you don’t know why. Your constant inspection of the engine parameters has detected the need for maintenance or repair. Scenario 1: You report the indications to your engineer. He removes the fuel injector nozzle from your #4 cylinder and finds a small obstruction that was causing that cylinder to run excessively lean and overheat in climb. After cleaning the injector, a quick test flight shows the #4 again indicates 180 degrees C in climb. You have maintained the aeroplane. Scenario 2: You don’t watch the indications closely, and when you check CHTs you merely check that they are within the ‘green arc’ normal operating range. You do not recognise something has changed, so you don’t realise something is wrong in your #4 cylinder. A number of flights at this hotter temperature begin to cause wear on the #4 cylinder’s exhaust valve. Three months later, while cruising over the Blue Mountains with your family on board, engine power suddenly drops and you cannot maintain altitude. Over time, the overheating valve has burnt away and it has now failed completely. At best, you make a precautionary landing and must repair the damaged cylinder. At worst, you have to repair the entire aeroplane … if you and your family survive. Tom, this is an excellent article. As always, your suggestions and comments are on point and pithy. I disagree, however, with your statement that ‘inflight mechanical failure of aircraft and aircraft engines are rare events’. Uncommon, perhaps. Rare? Absolutely not. I know several pilots who have experienced total or partial loss of power in flight. I have experienced more than one myself. The vast majority of these powerplant malfunctions were dealt with with no official requirement to report them. I have accumulated results from a survey of powerplant malfunction with nearly 900 respondents. While the majority are from US pilots, Canada and other countries are also represented in the data. These data very clearly show that Inflight powerplanr failure is very clearly NOT a ‘rare’ event. In the absence of comparable data for other aircraft system malfunctions, my own experience likewise suggests ‘rare’ is an overrstatement. Mechanics are, after all, human. And machines are designed and built by humans.